Hi, I too have degenerative disc disease and Cauda Equina Syndrome along with incomplete paraplegia. It is no picnic to say the least, my back after 4 surgeries the last that left me paralyzed have made my back stable but the degeneration continues. I have no balance when I stand to transfer because I can not stand straight and I lean to the left. The pain is negligible in my back unless I over exert myself bending, etc. Pain in my arm, and feet is unbearable at times. My worse side is my right and my big toe and right side of my heel hurt so bad I cry at night, the covers touching them are like knives cutting me. Being that I also have a torn rotator cuff and use my arms for all of my strength to get up it is hard. If I treat the pain more than what I do nightly with my "Gabapentin" then I can't function because I am sleepy. It seems like a no win situation. All that aside I am great and live is great for what it is. I totally understand the recovery time you talked about. When I plan my week my friend ask me why do you pack so much into a day. I tell him that if I go out a little each day it is worse than doing it all at one time. Going out for a long day allows me to do everything and then I can stay home and take it easy for a couple of days. If I go out everyday I feel like I never get over the exertion and my swelling feet never go down which makes pain even worse. So yes, it is a viscous cycle. Welcome to the forum brenda90159! Sorry to hear about the health complications. I can imagine how frustrating it must all be but I'm glad that you're enjoying life for what it is. Truwrecks......I know exactly how you feel. My DDD began suddenly, at age 23, way back in 1980. I was a US Army nurse, stationed in Hawaii. I had severe bouts of back pain every few months. I was always told it was muscle pain & put on bed rest. In 1986 I had a really bad bout that put me in the hospital. A CT scan was finally done, & they said I had the biggest herniated disc they had ever seen. This was in my lumbar region. I remained hospitalized for a month until surgery was done. I went to the OR screaming, & came out laughing!!! BUT---That was just the beginning. Every few years I would blow another disc, have surgery, repeat .......THEN....4 years ago, my orthopedic surgeon says I need to have titanium put in my whole lumbar spine to stabilize it. OK, except I have complications & end up having 4 surgeries in 4 months. By now I'm using a motorized wheelchair while out of the house so I can still do things & have fun. My husband & I adopted 3 kids. I could still walk around the house, usually with a cane. I also had a cervical fusion done by this time too.......THEN......my thoracic spine is causing excruciating pain, & bending me in half. At the same time I blow another disc in my cervical. I'm a mess, so I figured I'd go to a major medical center in a major city with a huge neurosurgery department. They decide I need 2 surgeries, cervical fusion & total thoracic fusions @ all levels with titanium. They plan to do them 2 days apart, cervical first. That goes well......then I get a low-grade fever so I'm sent home. .....THEN.....5 weeks later, I go back in for my thoracic surgery.....SURPRISE!......I wake up paralyzed from T3 down. Nobody looked surprised. No explanation. This was my 14th spinal surgery. 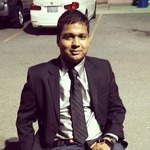 That was last May 22, so I just made my 1 year anniversary as a paraplegic. I spent over 1 month in that hospital, then we had me transferred to a Spinal Cord Rehab Unit, where I stayed for 3 months. Now I can't even sit up without support. I'm doing PT twice a week at home, & a nurse comes once a week to check my blood because I'm on Coumadin due to pulmonary emboli post surgery. What a mess! I too have to carefully pick & choose what activities I can tolerate, & it's not much. NOW......my arms & hands have become increasingly numb & painful. I had a CT scan done, but I need an MRI, that will be done on Tuesday. They hope to see what's going on in my cervical & thoracic areas. I have a lot of pain & spasms......so my whole adult life, I'm now 57, has been dealing with DDD. But I have to say, I was not expecting to be paralyzed. Has anyone else been paralyzed during their spinal surgery??? What a mess! I too have to carefully pick & choose what activities I can tolerate, & it's not much. NOW......my arms & hands have become increasingly numb & painful. I had a CT scan done, but I need an MRI, that will be done on Tuesday. They hope to see what's going on in my cervical & thoracic areas. I have a lot of pain & spasms......so my whole adult life, I'm now 57, has been dealing with DDD. But I have to say, I was not expecting to be paralyzed. Has anyone else been paralyzed during their spinal surgery??? I am one of the lucky ones to ANITA I had my 3rd surgery and they cut my spinal cord, they patched it and it still leaked so 3 days later I went back in for another patch. I never went back to work although I was still able to walk some but I can only explain it as I felt like a snowman. I would get up feel fine and within a few hours I just melted and could hardly hold myself upright. One year later I went in again and woke up paralyze, no explanation just sent me to a "rehab" (in name only) for 63 days. I came home (alone, I'm single) to a new apartment site unseen with no equipment. They had not taught me a thing about transferring or bathroom, etc. I had home health for about 2 weeks and I told them to take a hike. (home health is another long story) I just made due and learned on my own. I have been in a wheelchair since December 4, 2006. I use a manual at home and motorized outside, I drive and travel (Alaska cruise in August) I am a quilter so I stay busy with my guilds. I got a new chair this past September with all the bells and whistles. It is a purple Permobil C300, I love it my old one is the same in hot pink but it didn't recline, tilt, or elevate. I have it for sale but they are hard to sale without giving it away. Hello, Brenda90159! I have the same chair, in popster pink. I love it. I have to give you much respect for learning everything on your own. I was a nurse, but I knew nothing about being paralyzed. When I got to rehab they asked me what I was doing for bowel care. I'm like, What's bowl care??? The hospital had me for over a month & just kept me doped up.....now it's a year later & I'm still waiting for records & answers. I love your positive attitude! We're planning a cruise too, but we always book last minute---- really cheap rates, & we live really close to Port Canaveral, where ther are a lot of ships. We used to go 3 to 4 times a year. I recently got a portable hoyer lift, & a shower/potty chair that folds into a wheeled carry-on bag. So now I can travel again! I just need to get a new passport, I let mine lapse. Hey Anita....Just noticed your from Merritt Island...I'm Cocoa Beach! Well, hello neighbor! I've been in Brevard County since '91. I love Florida! I'm from New Jersey, but left to be an Army nurse in Hawaii in '78. I married a fellow Army nurse, he's also from NJ also. After living all over, we retired here. I've been disabled since '86, but only 1 year a paraplegic. I did rehab in the SCI Unit in the Miami VA. A civilian hospital paralyzed me, the VA saved me! My iPad is about dead, talk to you later! I love cruising I take quilting cruises, I love learning and getting to know other people. This is my fourth cruise and all of them have been with unknown roommates and they have been wonderful. My last cruise my roommate and I felt as if we are sisters separated at birth, she lives in Kentucky and me in Texas but we talk a couple of times a week and are going together again on this next cruise. You will have no trouble with the accessible rooms on the ships. I have been on both Carnival and Royal Caribbean and they are super. Very large and comfortable, the beds are open underneath so you can use the lift and the shower is roll-in with a fold down seat. My popstar pink was so great but when I got my new purple with the elevate, tilt, and recline I was in heaven. Being able to elevate is awesome I don't have to get splashed with grease when I cook and I can reach stuff in the closet. Such heaven! I have seen those shower/potty chairs and wondered how they were. Do you feel secure in it? I'm on the larger size and have fear of portable. Was it really expensive? I was lucky enough to get it for free thru the VA, so I'm not sure what it costs. My regular shower chair is huge & reclines & lifts my feet/ legs with power, it's awesome. So, the travel chair is much smaller, all manual, & I tried it out a bit. I had my husband put me in it to make sure I wouldn't fall out, & it seemed ok. I just have to be a lot more careful & not be left alone in it. I have not actually used it yet though. You can look them up online to check prices, but I'm sure like averything else they are expensive! That is so great that you can cruise by yourself & meet new friends! I can't wait to go on vacation again, even though I know my activity level is pretty low. I know I'm going to miss my electric adjustable bed the most!! !